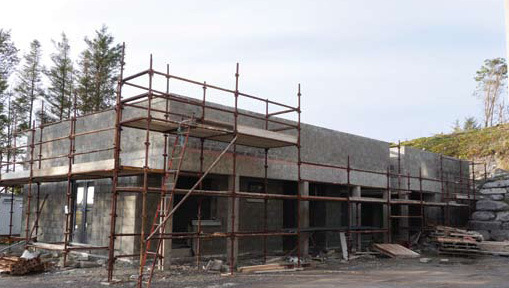 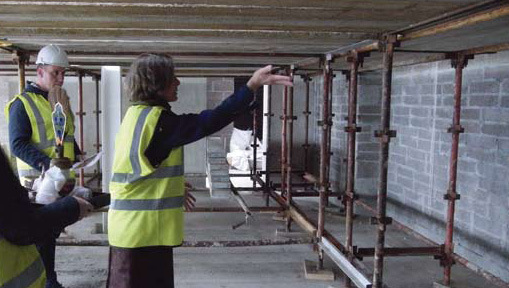 Help to build Ireland’s first Buddhist Temple. 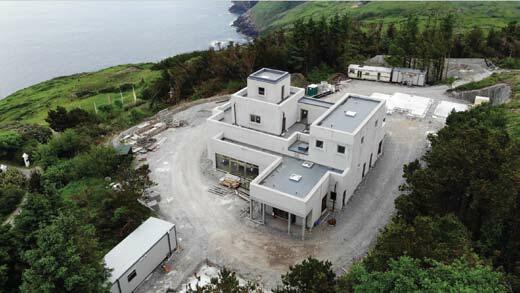 Temple Foundations – Digging Begins! 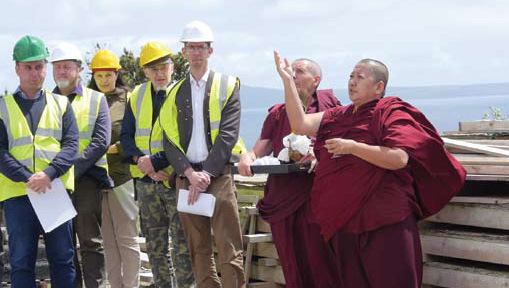 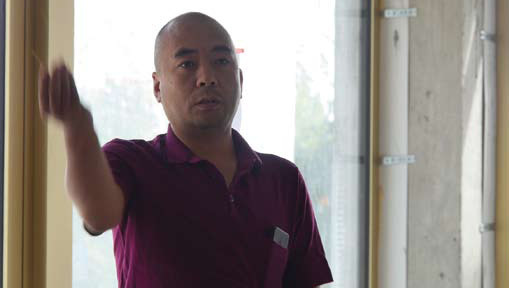 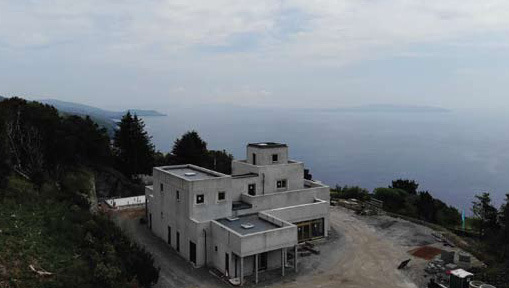 In May 2009, Sogyal Rinpoche (our Spiritual Director at the time) invited Orgyen Tobgyal Rinpoche, a uniquely qualified Tibetan master, to visit Dzogchen Beara, to advise on the temple design, location and orientation. 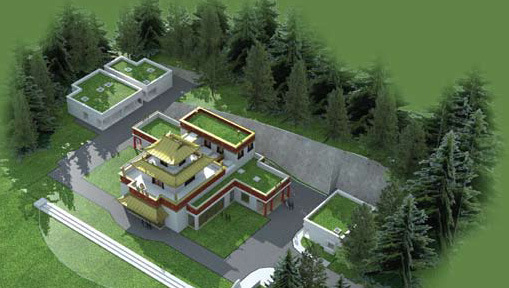 Orgyen Tobgyal Rinpoche has supervised numerous temple projects, including the Temple at Lerab Ling (Rigpa’s main retreat centre, located in France) which was consecrated by His Holiness the Dalai Lama in 2008. 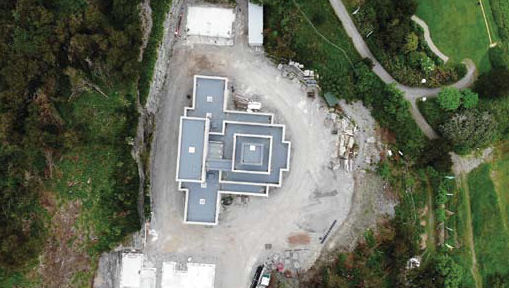 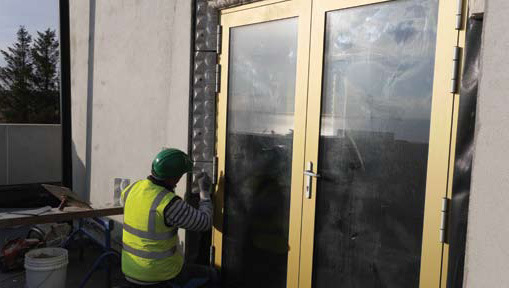 The temple at Dzogchen Beara will be built in the style of a traditional Tibetan monastery, a form of architecture designed to be an inspiring symbol of the Buddha’s teachings. 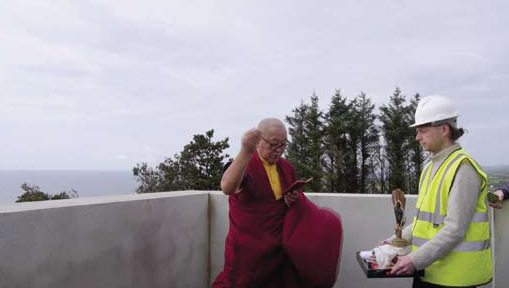 Orgyen Tobgyal Rinopche returned to Dzogchen Beara in October 2015 to bless the site of the temple. 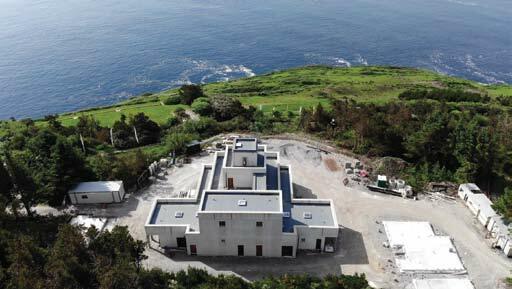 He said that, according to the ancient art of geomancy, this location at the south-western tip of Europe is a “power place” and building a temple here, at this specific time, will bring renewal and healing to Ireland as well as benefitting the whole world. 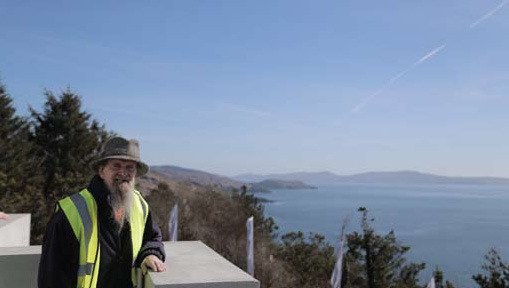 If you would like to support the building of the temple and the future of this ancient wisdom tradition in the West, please make a donation or sponsor building materials.